Antonio Tavaris Brown is one of the popular professional football wide receivers for the Pittsburgh Steelers of the NFL. He is simply named Antonio Brown. He is a well known American celebrity. He is famous for contribution to professional life. He is best at the wide receiver position. Currently, he is playing in Pittsburgh Steelers. He is a very talented and skilled player. His shirt number is 84. He earned All-American honors in 2008 and 2009 as a punt returner. On 8th March 2016, he was announced as one of the celebrities who would compete on season 22 of Dancing with the Stars. 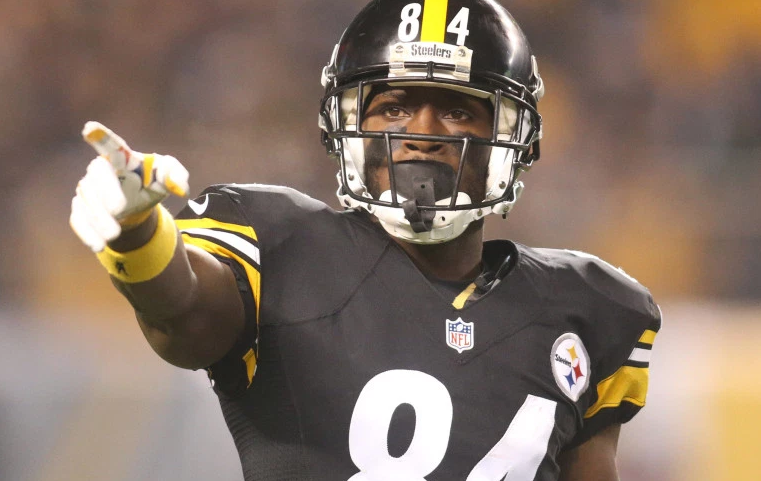 Pittsburgh Steelers has agreed to trade their favorite wide receiver Antonio Brown to the Oakland Raiders in exchange for third and fifth-round pick of the 2019 NFL draft. The trade between the two can be completed only after March 13, 2019. Brown who was selected by the Steelers in the sixth round with 195th overall pick in the 2010 NFL draft is the player in NFL history with more receptions and receiving yards. He is also the only player in NFL history to record five receptions and at least 50 yards in every single game of an NFL season. What nationality is Antonio Brown? Passionate and enthusiastic player, Antonio Brown was born on 10th July 1988. He was born and raised in Miami, Florida city of U.S. He is the son of Eddie Brown and Adrianne Moss, his father, and mother. His real name is Antonio Tavaris Brown. His nationality is American. His astrological sign is Cancer. At a small age, he began his career with football. He attended Miami Gardens Miami Norland High School and he graduated from Central Michigan college. Antonio has got a great personality. Talking about his body, his height is 1.78 m. His weight is of 84 Kg. His eye color is Brown and the hair color is Black. He has a balanced body with good health. He has an attractive body figure. His smiling face and charming personality have helped him to gain the attention of all the viewers. Brown started every game during his sophomore season in 2008. In the year 2008, he started every game during his sophomore against Temple, Western Michigan, Eastern Michigan and made 93 receptions for 998 yards and 7 touchdowns. On 26th September 2009, he played against Akron. Later, he had nine receptions for 89 yards and a season-high two touchdown against the Zips. He announced he would go his senior season and enter the 2010 NFL Draft on 7th January 2010. The Pittsburgh Steelers selected him in the sixth round in the 2010 NFL Draft. He signed a three year with the fee of $1.28 million on 15th June 2010. He has also named the Steelers fifth wide receiver on their depth chart. Later, he earned his first career start and made 5 receptions for 86 yards in a 24–17 defeat of the Cincinnati Bengals on 13th November 2011. He also appeared in his first career Pro Bowl and caught two passes for 15 yards, helping the AFC defeat the NFC 51–49 on 29th January 2012. The Pittsburgh Steelers made an extension contract of five years with the fee of $42.5 million on 28th July 2012. He ended the 2012 season with 66 receptions for 787 yards and 5 touchdowns in 13 games. In the year 2013, he started the Steelers season opener against the Tennessee Titans. He made 5 receptions for 71 yards in a 16–9 loss. He was named to the AP All-Pro team for the first time in his career on 3rd January 2014. He started 2014 season against the Cleveland Browns with the victory 30-27. Brown started in the Steelers season-opening 28–21 loss to the New England Patriots in 2015 seasons. He was also named to his third consecutive and fourth career Pro Bowl, his second first-team All-Pro. In the 2016 seasons, he started the Steelers season opener against the Washington Redskins and finished the 38–16 victory. He caught five passes for 124 yards and two touchdowns against Miami Dolphins in a 30–12 home victory on 8th January 2017. On 27th February 2017, he signed a new contract a five-year contract till 2021 with Steelers. He finished the 2017 season leading the league with 1,533 receiving yards for the second time in his career and was also named to his sixth Pro Bown and first-team All-Pro. Antonio is a married man with Shameika Brailsford. The couple is blessed with four children named Antonio Brown Jr, Autonomy Brown, Atanyiah Brown and Ali Brown. They seem to be very happy with each other. They spent only a few blissful moments together and due to many disputes and fights among them, they got separated. 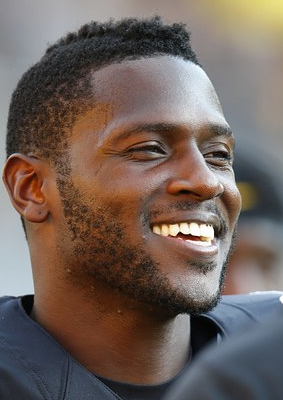 How much is Antonio Brown net worth? This excellent player makes good money from his work. The net worth of Antonio is estimated to have $68 million in 2017. His salary is kept in privacy but there is no doubt in the mind of his supporters and followers he is satisfied with his earning. He is satisfied with his earning.